Help/FAQs - Council of Parent Attorneys and Advocates Inc.
How do I add Social Links to my Profile page? What and where are the “main pages” in COPAA Connect? How do I accept Contact Requests? Where can I find the community guidelines? How do I control the frequency and format of emails I receive? How do I choose what “kinds” of emails to receive? Do I have an “inbox” within COPAA Connect? How do I set up a discussion signature for my posts? How are the libraries populated? A: Your login credentials are the same username and password that you use to log in to the main COPAA website. If you have forgotten your login credentials or need assistance with your login information, please click here. In the upper right corner, click on the down arrow and then Profile. On the left you will see Contact Details written in gray type. Click on the small gray pencil icon to the right. You will be redirected to the Manage Profile page of the main COPAA website. Under Information & Settings on the left in green type, click Edit Bio. On the next screen, update your information and scroll down to click Save Changes at the bottom. After 30 minutes, the updates will appear in COPAAConnect. In in the upper right corner, click on the down arrow and then Profile. On this Account Information page, a number of fields have a lock icon to the left, where you can hide and unhide your information. Green is public (unlocked and visible), and red is private (locked and hidden). Click Save Changes at the bottom of the page when you are finished with your selections. After 30 minutes, the updates will appear in COPAAConnect. On the left, underneath where your picture will go, click the Actions button and then choose Change Picture. On the next screen, you will see Headshot Image, the sixth in the list of items under Account Information. Click on Manage Headshot Image to the right, in green type. After you upload your picture, you will be redirected back to COPAA Connect. Your picture will appear in COPAAConnect in 30 minutes. Q: How do I add Social Links to my Profile page? You have the option to provide a link to your social media site(s). On the left side of your profile page, click on the Actions button to the right of Social Links in gray type. You will see a drop-down list of social media options, such as LinkedIn. Twitter, and Facebook. Click the one(s) you want and following the prompts to import the link. When you are finished, there will be icon(s) going down the page which lead to your social media page(s). Q: What are the “main pages” in COPAAConnect? A: Profile page: Your Profile page can be reached by clicking the top right small gray arrow, and then choose My Profile. Home page: You also have your own “home page,” which you can reach by clicking Connect Home on the left side of the blue main navigation bar. This shows activity for all of your Communities on one page. Community home pages: Each Community has its own “Community home page,” which shows activity for that specific Community, including discussions and shared files. A: COPAAConnect offers two types of searches. We also have a directory of professionals, such as attorneys and advocates, which you can find by clicking Directory > Find A Professional in the blue main navigation bar. You may search by Name or Company as well as by Location/Practice Area. Members of the general public are able to search for a professional. 1) After searching the directory by the criteria you have chosen, you will see the Add as Contact gray button to the far right of each person in your search results. Click this button to send a contact request. 2) If you have clicked through and are viewing an individual’s profile, click the gray Add as Contact button, toward the top of the page. It is underneath the various tabs. If you are familiar with Facebook, contacts are analogous to “Facebook friends." You may find your Contacts by going to My Profile > My Connections tab > Contacts. A: Your contact list is a virtual address book and makes it is easy to send messages through COPAAConnect to stay in touch, ask questions, and/or build a referral network. It helps you more quickly “find” the people you have “met” through COPAAConnect because they will appear in your profile (so you don’t have to look for them in the full member directory). It’s essentially a personal contact directory. When you view another member’s profile, you’ll be able to see any contacts you have in common. Finally, you may choose to let your contacts view certain information in your profile that other people in COPAAConnect cannot see (such as your address, for example). Q: How do I accept Contact Requests? A: From your Profile page, go to My Account > Inbox > Contact Requests. If you have any Contact Requests waiting for you, click the blue Accept button next to the message. You can then go to My Connections > Contacts, and you will see those people in the contact list. A: Navigate to your Profile page > My Connections tab > Networks. Various Networks, such as by City or State, are auto-populated by the software. You may add these people as Contacts. 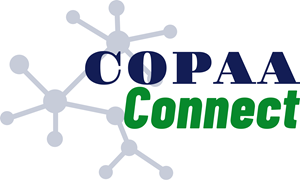 A: “Communities” in COPAAConnect take the place of “groups” in the COPAA main website. Communities allow you to participate in discussions and share resources with other members. In the blue main navigation bar, select My Connections > Communities. You will see a list of all of your Communities. Click on the title of the Community to go to that Community’s home page, which shows Latest Discussions Posts, Announcements, Latest Shared Files, etc. Q: Where can I find the community guidelines? A: The COPAA community guidelines are found here. When joining COPAAConnect you agreed to these guidelines, and from time to time it is good to revisit the page for "netiquette rules" and other information. Q: To which Communities do I belong? A: In the blue main navigation bar, click on Communities > My Communities to see the list of your Communities. All COPAAConnect members belongs to the All Members Community. Click on the title of a Community to go to that Community’s home page, which shows Latest Discussion Posts, Announcements, Latest Shared Files, etc. for that Community. A: In the blue main navigation bar, click on Communities > Join A Community, where you will see information about Communities. Q: How do I control the frequency and format of emails I receive? A: Go to My Account > Community Notifications > Notification Settings (toward the bottom half of the page). For each Community listed on the left, there is a drop-down menu to the right, which includes Real Time, Daily Digest, and No Email. Real Time: Sends an email every time a new message is posted in one of your Communities. Daily Digest: Sends one email to you each day, consolidating all of the posts from the previous day, for each Community that you are a member. Ex: If you belong to three communities, you will receive three daily digests via email. No Email: Allows you to be part of the group without having emails sent to you. You can still post and read others’ messages by logging into COPAA Connect and selecting that Community. Consolidated Daily Digest: Sends one email each day that includes posts from all of your communities, organized by Community. To choose this, click Consolidated Daily Digest in the first column. NOTE: You must have daily mail above set to No Email for each Community or you will receive duplicate emails. Consolidated Weekly Digest: Sends one email each week that includes all of the posts from the week, from all of your Communities, organized by Community. Toward the top of the page, the Weekly Consolidated Community Digest drop-down menu will allow you to choose the day of the week to receive this digest. NOTE: You must have daily email set to No Email for each Community or you will receive duplicate emails. Q: How do I choose what “kinds” of emails to receive? A: Navigate to your Profile page > My Account tab > Email Preferences. In addition to Community Notifications, other messages are routinely sent to your inbox. These include System Emails, Community Emails, Social Emails, and Promotional Emails. By default, these are also emailed to your email account. You may select No in the blue boxes for Community Emails, Social Emails, and Promotional Emails (you cannot opt out of System Emails). Regardless of the settings you choose, yow will always receive these messages in your Profile Inbox. A: We don’t recommend you leave a Community but rather unsubscribe from posts; see the instructions above to choose No Email. If you must leave a Community, go to Communities > Join A Community for more information. Open the message to which you would like to respond, and click either the blue Reply to Group button or the blue Reply to Sender button. With the Reply to Group option, your response is essentially the same as replying to a regular email message. The Reply to Sender button will take you to the message in COPAA Connect, where you will be able to respond. This conversation “remains” within COPAA Connect and will not also be delivered to your email inbox. Navigate to Communities > My Communities > Select the Community from which the message was sent > Discussions tab. To the right, choose Reply to Discussion to send your message to the entire Community. You may also use the drop-down menu and choose Reply to Sender. We recommend replying to the entire Community when you are sharing knowledge, experience, or resources that could benefit others. We recommend replying to the Sender for simple comments like, “Me, too,” that add little value to the overall discussion. 1.) In the main blue navigation bar, click Participate > Post a Message. Select a Community from the “To” drop-down menu. (There is also an option to cross post.) Type a subject in the subject line and draft your message. You may attach a file if you wish and hit the blue Send button at the bottom of the page. 2.) In the main blue navigation bar. click Communities > My Communities > Select the Community you want > Add button (you will see Latest Discussion Posts on the left in the blue bar, and the green Add button is to the right). Then follow the instructions in number 1. 3.) Navigate to a Community home page > Add button (you will see Latest Discussion Posts on the left in the blue bar, and the green Add button is to the right.) Then follow the instructions in number 1. Or, from the Community home page > Discussions tab > Post New Message (on the right in green). 4.) Finally, you may send an email message to the Community from your email account, using the Community’s COPAAConnect address. These are posted at the top of the Community home pages. After sending a message, you will see it listed on the Community’s Discussions page, and you will receive a message in your email account (per the email settings you chose above). Q: How do I set up a discussion signature for my posts? A: On your Profile page, underneath your name in gray, choose My Account tab > Discussion Signature. To customize your signature, on the right side, click on the variables you want to use, and then will appear to the left. Click the blue Save button. Your signature will now be appended to your messages. Q: Do I have an “inbox” within COPAA Connect? A: If images are not appearing, it is likely that your email client is set to suppress images. This should be something you can change in your security or viewing options. A: Yes. In the search box located on the right side of the blue main navigation bar, enter a keyword. You can refine the search results by choosing variables (such as Content Type, Community, Author, etc.) going down the left side of the page. Q: How do I see a listing of all of the posts in a specific Community? Locate the Community you are interested in viewing (Communities > My Communities gives you a list of your Communities). Click the title of the Community to go its home page. Click on the Discussions tab, and you will see that the first column lists all of the conversation threads by subject. Click on a subject line to take you to the entire thread. The Original Message button at the bottom of all of the posts will display the original message that started that discussion. A: If you know within which Community’s library the resource might be located, navigate to Communities > All Communities > choose Library tab. Select Communities in the blue main navigation bar and then All Communities. Click the title of the Community to go to its home page. Click on the Library tab, and you will see the Folders on the left and the Folder Contents on the right. If there is a gray arrow to the left of the folder’s name, click on the arrow to see the various sub-folders (clicking on the folder itself will not reveal the sub-folders). If you do not know in which Community to look, enter search terms in the main search box (located on the right side of the blue main navigation bar) the same way you might enter search terms into Google or another search engine. A: Yes. Enter your desired keyword in the main search box (located on the right side of the blue main navigation bar). Then refine the search results by choosing File Type from the list going down the left side of the page. Q: How are the libraries populated? 1.) When you include an attachment in a discussion post, the system automatically places it in the affiliated Community’s library. 2.) You may upload files to the library. The next answer shows you a few ways to do that. Library resources are associated with a particular Community but are not required to be associated with a discussion thread. Find the blue main navigation bar > Participate > Share a File. You may also go to a Community home page > Library tab > green Create New Library Entry button. You may also go to a Community home page > Latest Shared Files section > green Add button. The Latest Shared Files section is on the right, in the middle of the page. Create a Title for your document and choose a Library for the Community where you wish to place the file (you also have the ability to select a specific Folder, but this is not required). Including a Description is also optional. Choose an Entry Type (most will be a Standard File Upload, but be cognizant of any copyright licensed material). Then click the blue Next button at the bottom. On the next screen, click the gray Choose and Upload button, and on the following screen, choose the file (there are a variety of sources from which to choose). Once you have selected the file or files you wish, hit the blue Upload button on the bottom right side of the page. On the next screen, you may select the blue Next button if you would like to further describe the files (this is optional). Otherwise, hit the green Finish button to post the library entry. On the next screen, you may add a Tag if you wish. A: The system supports dozens of file types including standard files (Word, Excel, PowerPoint), hyperlinks, webinars, and YouTube videos. There is also a choice for copyrighted material called Copyright Licensed File. Q: What is the purpose of Tags? A: Tags are great way to organize and categorize content and can be applied to blogs, library entries, events, and glossary terms. Tagged items are prioritized in search results.